THE VIRTUAL SPORT OF THE FUTURE. THE SPORT OF THE FUTURE. As VR itself changes the way players interact, the highest level of competition has developed into a truly physical activity where players are tested on their reactions, co-ordination and endurance. VR Esports is unlike anything that has come before it in the world of gaming. Sharing far more similarities to real world sports than any traditional eSports title. "Players no longer sit at a desk looking at a screen; now they interact with virtual worlds and environments in the same way traditional athletes do, with their own two hands." 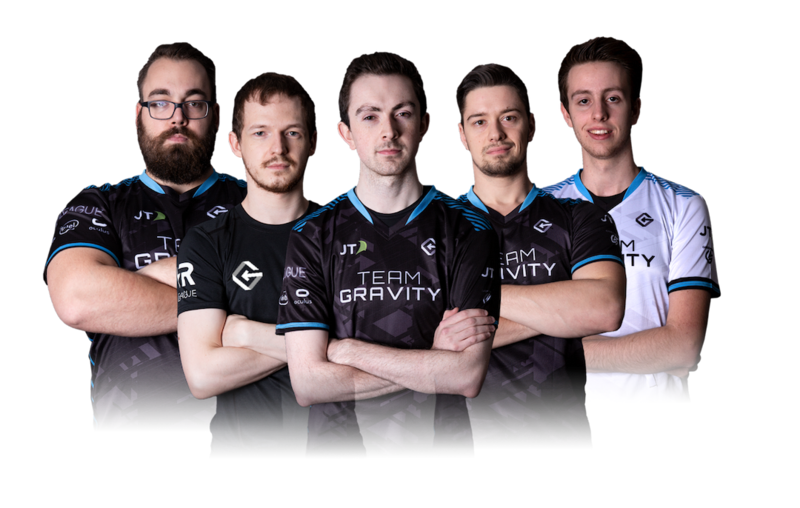 Founded in 2017, Team Gravity is the leading professional VR Esports organisation in the world. At it's core, our organisation is a collective of talented, professional, VR athletes that continually strive to be the very best at what they do. "More than just a gaming team, our aim is to provide support for players looking to compete in professional VR Esports, and to showcase this incredible new industry to the rest of the world." Our teams consistently rank amongst the worlds best, and as a result, regularly compete at some of the largest gaming events on the planet including ESL One, IEM Katowice & Oculus Connect 5.